Chill out your very own dock on Crystal Lake! Rear view of house with wrap around deck. The upstairs living room boasts hand crafted furniture. Enjoy the warm and cozy living room with a gas fireplace. The dining room has a slider to the outdoor deck. This modern yet sweet kitchen has all of the conveniences. First floor living room with beautiful antique furniture. The inviting downstairs den with tv and queen sized sofa bed. The game/rumpus room is great for kids of all ages. 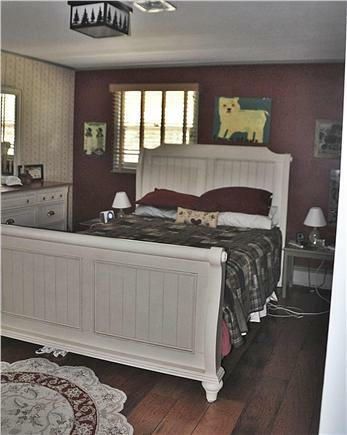 The master bedroom has a shabby chic look and an en suite bath. Pirate themed bedroom with bunk beds. Shabby chic inspired bedroom with trundel beds. Skaket and Nauset Beach are both within a mile & 1/2. Welcome to the lovely town of Orleans! This property is ready for those who want to relax by Crystal Lake which is beautiful and is great for all water sports. This property also has a dock on the lake and an outdoor shower! The house oozes with charm and attention to detail. It comes with all the amenities of home! It is a wonderful house for a family or couple as the first floor has a game room (including a pool table and pinball machine), living room, laundry room, bathroom and a den. This is the ultimate area for good weather and rainy days. It is extremely child friendly, as well. It is a great rumpus room! The upstairs boasts a gorgeous living room with a gas fireplace, central air, dining room with walkout deck, kitchen, 3 bedrooms, and two full baths. 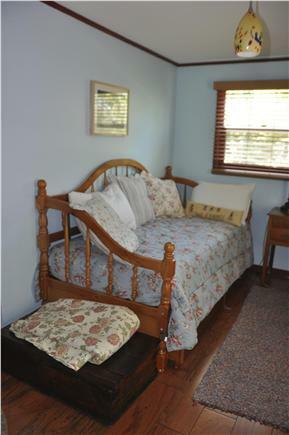 Much of the furniture and art is created by local crafts people, which gives the house a super homey/cozy touch! 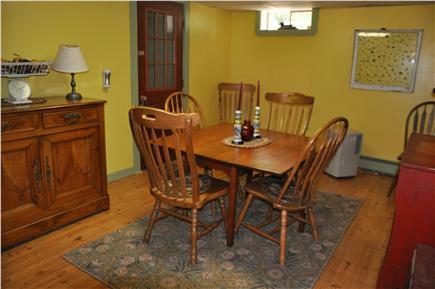 Nauset and Skaket Beaches are each only 1-1.5 miles away, and the home is close to bike paths, too. If you love The Cape Cod Summer Baseball League, you are in luck as you can walk to the Orleans Firebird games. There is a full bedroom on the first floor. There is also a half bathroom on the first floor. Perfect size house, well equipped, great location and a short walk to the pond. Great deck and we all got to enjoy the game room on the lower level. Great stay on gorgeous peaceful water! Thanks to the homeowner, the home is perfectly located close to town and all the activities in the area. Had a great time, all the amenities you could want. I loved this immaculate and funky house! The decor adds a homey touch. I a coming back with my family in August! I can't wait to try some of the local food again. This town has a lot to offer. The beaches are so close by. The game closet was my favorite part. Lots of good stuff to play with and great fun family reading for those rainy days. Enjoy this house and take good care of it, so all of us can come back each summer! I rented this home in Orleans, MA in August 2015 and am coming back in 2016. The home is tastefully/uniquely furnished, well stocked and very comfortable. 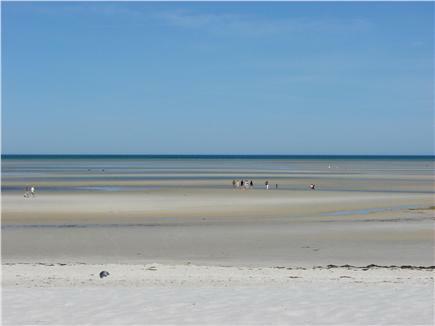 It is ideally located near area beaches, attractions (including Cape Cod League baseball), restaurants and with private access to serene Crystal Lake. The owner takes a lot of pride in her home and property and is very responsive to inquiries about the Cape.